Release Date: June 3rd, 2016 – U.S.
"The Wailing" is an electrifying mixture of horror, mystery, and family drama; a whodunnit police story set in a small South Korean town; a bizarre blend of ghosts, zombies, religion, the occult, demonic repossession, and exorcism; a wild meshing of genres that will keep you guessing until the very end – and even beyond that. 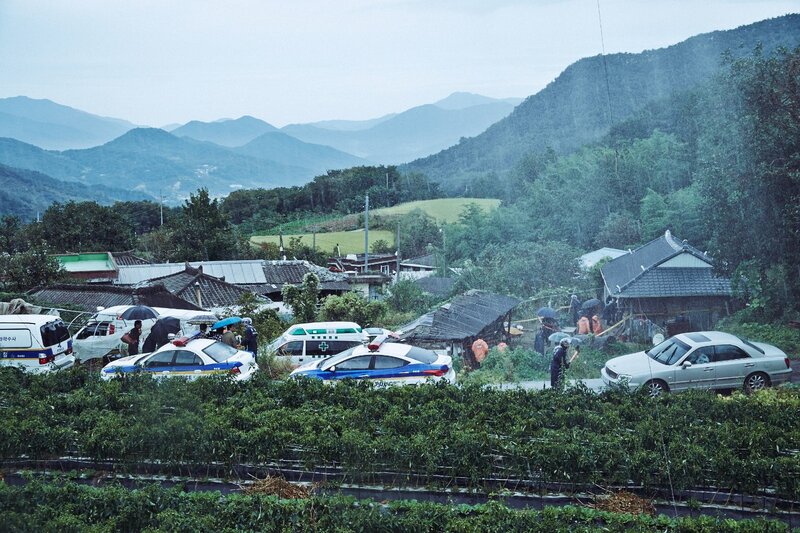 It begins with a police sergeant, Jong-Goo (Do Won Kwak), investigating a series of bizarre incidents. The townspeople are picking up what appears to be a mysterious illness or infection. The side-effect: they violently turn on their own family and friends. The result: bloodshed and murder. The unwanted presence of an enigmatic Japanese outsider (played by Jun Kunimura) is blamed for the carnage. The policeman initially comes across as a pudgy, goofy "Keystone Kop." He trips and blusters, screams and sputters. Tasked to solve the mystery and protect the villagers, he is clearly in over his head and ill-equipped. He wakes up from frightful dreams wailing like a small child. However, it isn't long before the situation impacts him directly – his own daughter eventually begins showing signs of the "disease." When the cause is deemed to be more mystical than medical, a shaman (Jung-min Hwang) is called in. His rituals are a sight to behold. They are wondrously outrageous and over-the-top. As the horror hits closer to home, the police sergeant's transformation is startling. He morphs from an absurd comedy character to a fearful but focused father who will stop at nothing to find answers and save his little girl from whatever – or whoever – has taken over her body and mind. 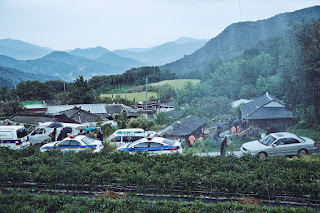 In contrast to the madness permeating most of "The Wailing," there's a quiet beauty to its lush but simple village scenery and ordinary but slightly rundown city buildings. 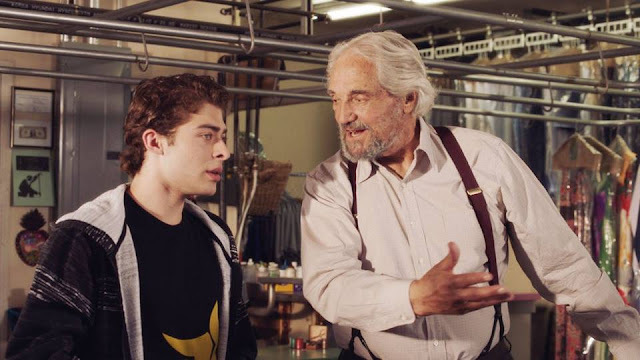 At 156 minutes, this is a long movie – but I was glued to the screen the entire time. The ending, which I won't spoil, is the only aspect of the film that gives me pause. It feels like almost an anticlimax after two-and-a-half hours of frenzied hysteria. "That's it?" might be your first reaction. Yet, I haven't been able to stop thinking about it. According to the description on the back of the Blu-ray case, "fans made many return viewings in order to catch new clues and debate what’s sure to be the most talked-about ending of 2016." While that's partly marketing, there's a ring of truth to it too – you will undoubtedly want to seek out others who have seen the movie and look up what's being posted about its final moments. I'm certainly anxious to start several conversations about "The Wailing" myself. That's the sign of a great film.